Lift the wiper system module from the plenum brackets. 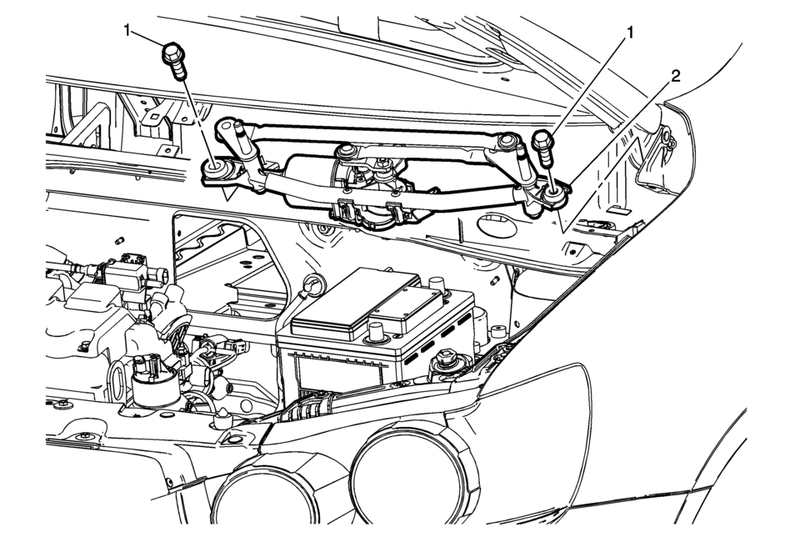 Disconnect the electrical connector from the windshield wiper motor. Remove the windshield wiper system module from the plenum.